Yay the week is over and it's time for the weekend! Do you have any plans? My daughters birthday is next week so I'm just going to getting last minute things done before her little party on the following weekend. Today I have Color Club Where's The Soiree? to share with you. See more after the jump! Where's The Soiree? is your basic black creme polish from the Femme Fatale 2009 Collection. The formula was very smooth and glided on to the nail effortlessly which mad application a breeze and she dried quite fast as well. Where's The Soiree? is also a one coater!. This just may be on of my new all time favourite black polishes! Shown is one thin coat with a glossy top coat. Do you own Where's The Soiree? Did you ever get any of the polishes from the Femme Fatale 2009 Collection? 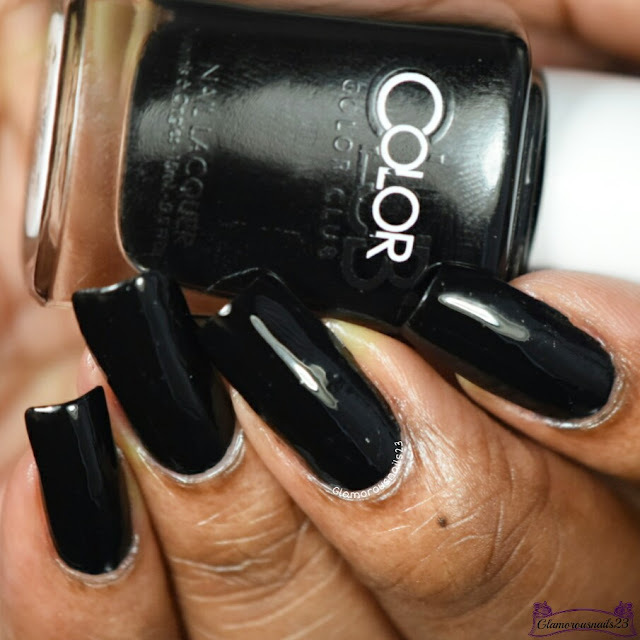 What's your favourite black creme polish? Let me know down in the comments below! Food luck with your daughters birthday, I hope you get a great day together. Would you believe me if I told you I just finished painting my nails with this one?! That's so funny! I have the original version/old bottle though. I had bought the entire Femme Fatale collection back then! This is great! My favorite black creme is Nevermore from Cult Nails. I bought 8 back ups when they went out of business. Rica's black will be my go to when those are gone though. Great swatch! I love a good black creme, and a one-coater is fantastic! Thanks so much! I always wanted to try polishes from Cult Nails but never got around to it:(. I'll have to try Rica's black also! I actually would believe you because great minds think alike! Lol. Oooo okay. Did you end up liking the Femme Fatale Collection? Thanks Dina! Tell me about it! 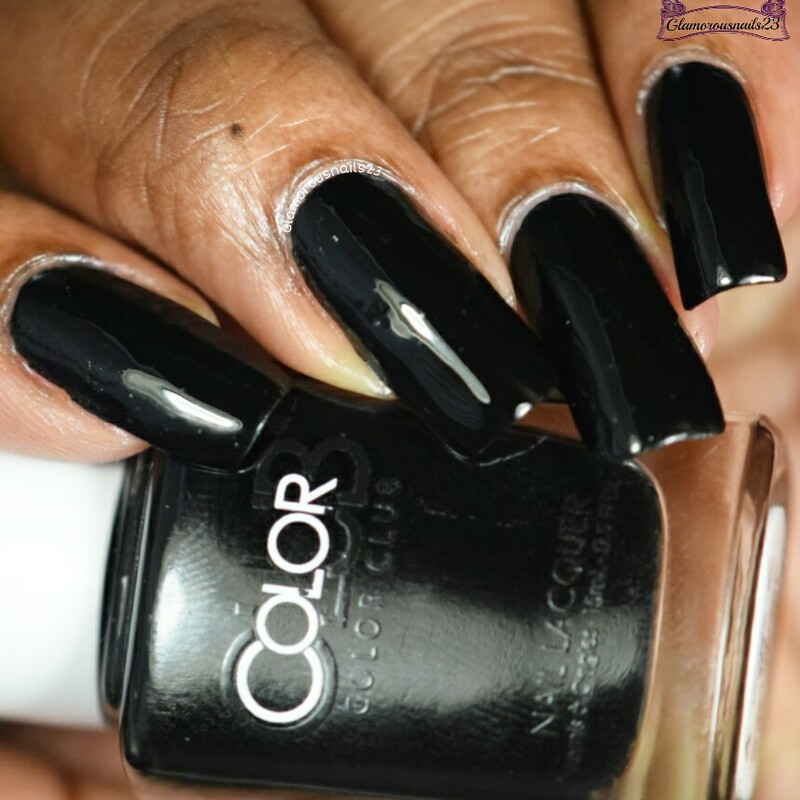 I love finding one coater black & white polishes.